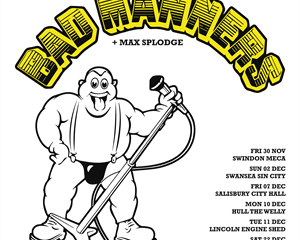 Bad Manners formed in 1976 whilst still at school. Signing to Magnet Records in 1980 the band scraped into the Top 40 with their debut single “Ne-ne-na-na-na-na-nu-nu”, a cover of the 1948 song by Dickie Doo and the Dont’s. The follow up single “Special Brew” went straight into the UK Top 10 at the height of the 2-Tone movement and was the first of many anthemic songs for which the band are known. In 1980 alone the band released two more chart topping singles “Lip Up Fatty” and “Lorraine” along with their debut album “Ska ‘n’ B” and it’s follow up “Loonee Tunes”. Bad Manners became a constant feature in the singles chart over the next few years with tracks such as “Can Can”, “Just a feeling”, “Walking in the Sunshine”, “Buona Sera”, “My Girl Lollipop” and more.